Zorin OS 12.4 DVD (32-Bit) | Linux DVD Shop - UK Linux Shop supplying Linux on CD, DVD and USB with Free UK Delivery, 24Hr Dispatch. 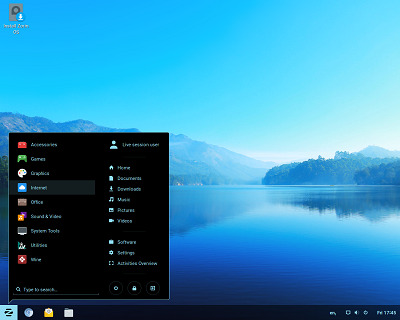 Zorin OS is an Ubuntu-based Linux distribution which is designed to have the look and feel of a Windows graphical user interface and comes with many programs similar to those used in Windows. It is therefore a great distro for newcomers to Linux as well as those who prefer the familiarity of Windows. Zorin OS 12.4 comes with the unique 'Zorin Desktop' and 'Zorin Look Changer' which allows users to choose between the Windows 7, XP and GNOME 2 graphical interfaces. Zorin OS 12.4 packs a ton of software updates, a newly redesigned Software Center, Linux Kernel 4.15, LibreOffice 5.1.6 and a load of other improvements and features.